Save 50% on Cascade Platinum ActionPacs Dishwasher Detergent, Fresh Scent, 39 count, today for $7.97 (When you apply $4.00 coupon), (list price $15.97, save $8.00). 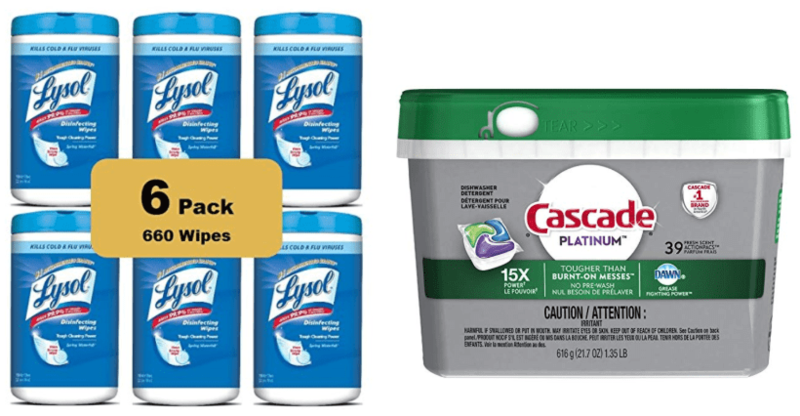 Save 20% on Lysol Disinfecting Surface Wipes, Spring Waterfall, 6×110 Wipes, Disinfectant, Cleaning, Sanitizing (660 Wipes), today for $23.99, (list price $29.99, save $6.00). Click below to shop Today’s Deals at Amazon Canada.